Want to keep your pet well-groomed without all the hassle? Your pet can now relax in the comfort of his home while being pampered! Our mobile pet grooming service provides an easy, convenient way to give your beloved pet the best look he deserves. Plus, your pet may experience separation anxiety when you leave him at a pet salon. In such case, mobile or house call grooming service is right for you as it provides less stressful experience for your pet. Furball The Groomer brings our services to your home. We eliminate all the issues you could come across with regular pet salons. 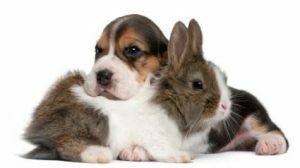 With one-on-one attention from start to finish, Furball offers an exceptional grooming service for your dog or rabbit in the comfort and safety of your home.